Short selling is a technique used by people in the stock market who try to make profit from the falling stock’s price. Technique considered to be very risky. Because technique requires precise timing and goes to the overall market direction. Since the market has traditionally tended to upsurge in value over time. The technique of short selling stocks needs precise timing of the market, which is a very tough feat. It is the practice of selling a stock which you don’t truly own. In the anticipation that the price of the stock should be reduced and you can purchase at a lower level in future. You can have the difference margin between the price at which you have sold the stock and the price you have paid to purchase it back. Unlike buying a normal stock in the stock market by initiating a position and hold forever. Short selling technique requires an investor/trader to keep an eagle-eye on the stock market. Since losses are unlimited on short position theoretically. Borrow Shares – To make the profit from short selling stocks. A short seller borrows the stock. And sells them in the market. The anticipation price of the stock should be reduced. And he can purchase it again at lower price in future. The owner of the stock isn’t notified the stock is loaned to the seller. But this action of the short seller does not obstruct the owner from selling at any time. 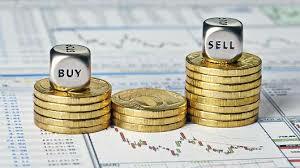 Creates a Liability – After borrowing the stock, the seller (short seller) has to return the stock at a later date. When the short seller finds and decides that the time is right. The short seller purchases the stock in the open market and duly returns it, thereby settling the liability.